Do you love the bold, smooth, strong taste of cold brew? Of course, you do, it’s one of the best ways to enjoy coffee chilled. Fans of cold brew, like you, most likely buy it from a bottle in the grocery store or gas station, unless they are stopping by a cafe. Making it at home is the dream for cold brew lovers, but not all of us want to spend extra money on more coffee gadgets. Consider if you could make it with an everyday mason jar you already have a bunch of lying in your cupboard, instead of having to buy any extra equipment. We can show you how it’s so simple and the flavor won’t disappoint! Keep reading to find out how to make the delicious, smooth cold brew you’re craving in a mason jar. 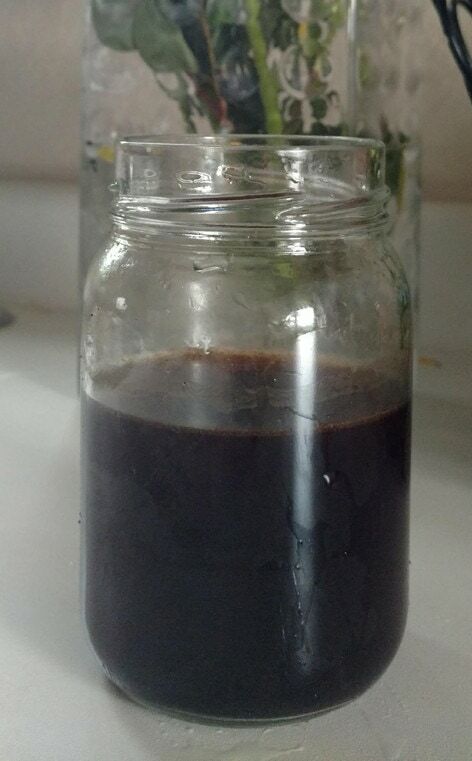 The important aspects of making cold brew include a coarse ground coffee, cold water, and long steeping time. This is why you can make it in just a mason jar in your kitchen. As long as you have a correct ratio of 3:1 water to coffee and allow for long steeping time, it does all the work for you. The longer the coffee steeps the stronger the flavor of the cold brew. If you over steep, such as 24 hours or longer, you will get a bitter, harsh result. The long steeping time needs to be considered since you can’t enjoy your cold brew until 12-20 hours after you start it. 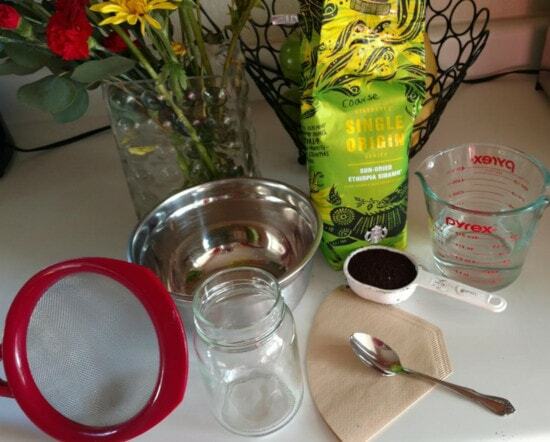 Below we have listed the supplies and ingredients along with the steps to help you make your own cold brew at home. 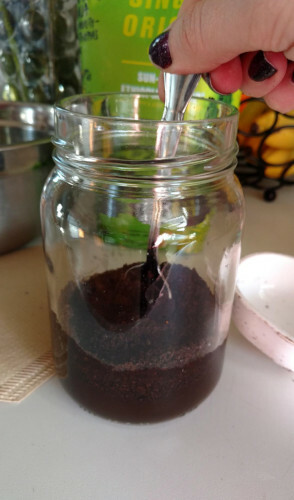 You have the option of making a bulk batch or even just a single cup of cold brew along with any amount in between using the mason jar method. For our demonstration, we did an 8 oz mason jar for a single cup of cold brew. If you want to use a larger size just remember the 3:1 water to coffee ratio. If you are using 1 cup of grounds for the 32 oz mason jar, you need 3 cups of water. 4. 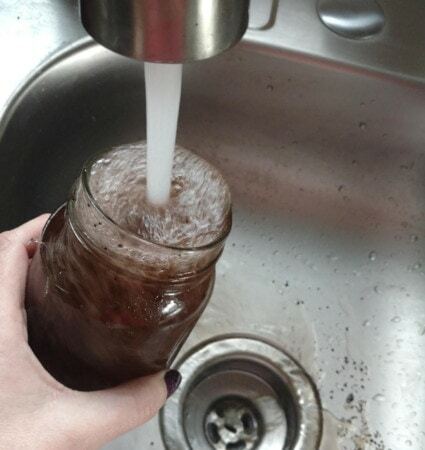 Put the lid on the mason jar and place it in the refrigerator. 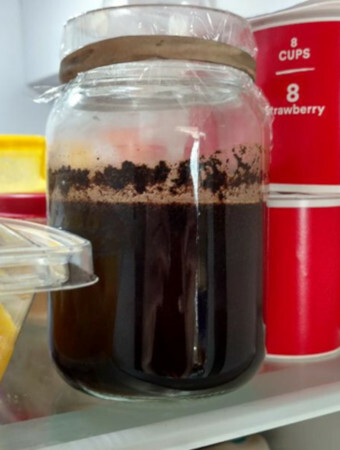 Allow the jar to remain in the refrigerator to steep for 12-20 hours. Remember, the longer the steeping time, the deeper the flavors develop. 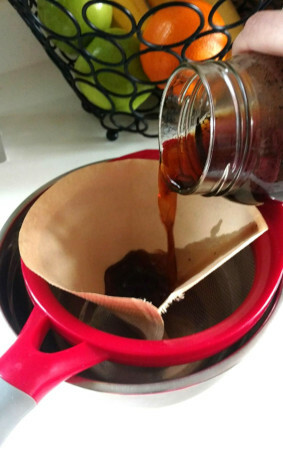 Overnight steeping is suggested if you want your cold brew first thing in the morning. 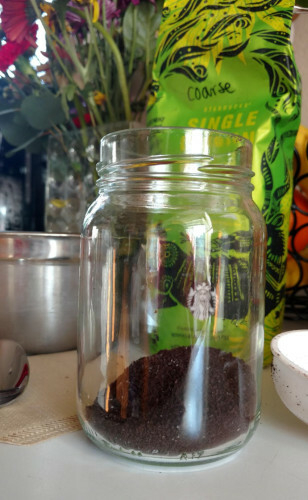 Tip: Lids will keep your cold brew fresher, but if you are missing the lid to your jars you can use saran wrap and a rubber band to seal it instead. 5. 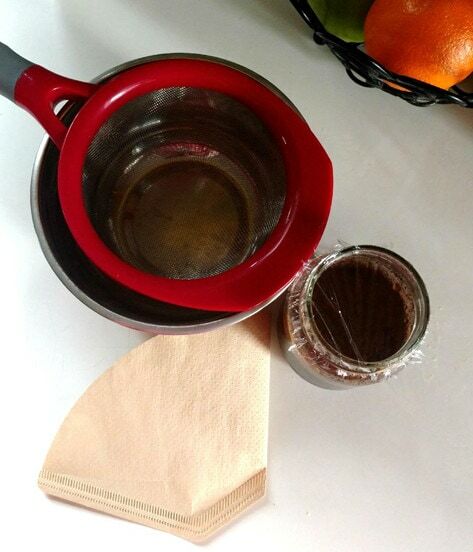 After the steep time, place your strainer or sieve over the large bowl with a coffee filter in the center of the strainer/sieve. The purpose of this step is to keep grounds out of your cold brew. 7. Rinse out the mason jar to get rid of any leftovers. Then you can pour the cold brew back in and it can be used to store it if you wish. Enjoy your cold brew! 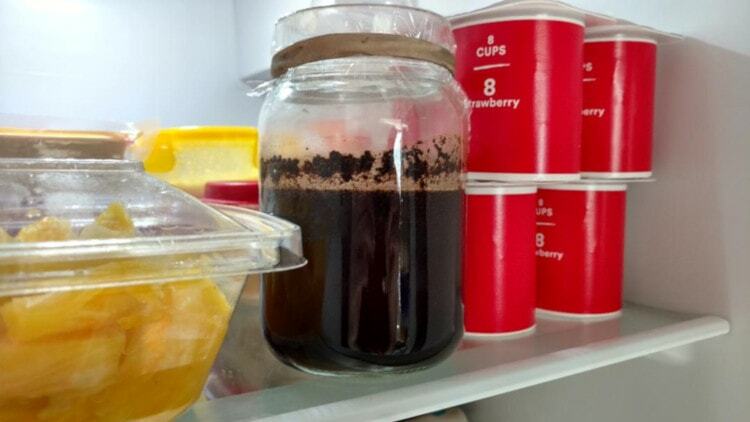 Tip: Cold brew can taste very strong. Even though it doesn’t have any acidity, you might still want a more mellow flavor. If this is the case for you, we suggest adding a little more cold water to your freshly poured cup until it tastes just right for you! Which is our favorite espresso maker for the office? Percolator vs Drip Coffee Maker: Which Is Right for You?